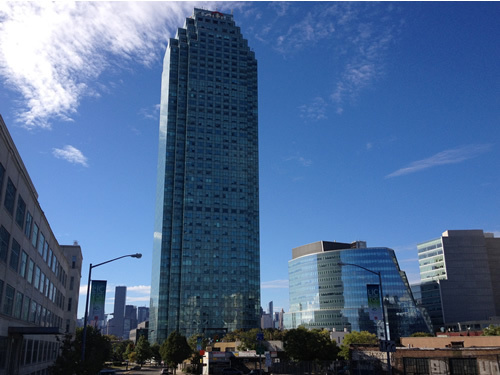 Queens Plaza - Your gateway to Long Island City, New York. Queens Plaza is the main gateway to Long Island City and Queens. Queens Plaza is located right next to Manhattan on the other side of the East River just across the Queensboro Bridge and is one of New York's most vibrant, diverse and dynamic neighborhoods. It was originally built well over one hundred years ago and served initially as a welcome center for those travelling from Manhattan either by subway or by car across the Queensboro Bridge. Queens Plaza itself is an "underground" subway station and along with Queensboro Plaza, an "overhead" subway station which virtually sits on top of Queens Plaza, it is one of New York's busiest transportation hubs comprising subway stations, bus termini and an entrance/exit to the Queensboro Bridge. The Queens Plaza neighborhood which could be described as the area all around the Plaza including the area all the way to Court Square is home to a growing number of luxury high-rise residences, an expanding list of well known New York businesses like Jetblue and Silvercup Studios, a beautifully designed green space, It is an urban melting pot of subway stations, crisscrossing elevated subway tracks, roadways clogged with traffic entering and exiting the Queensboro Bridge, newly constructed skyscrapers, residential towers, hotels, businesses and restaurants. For those flying to and from New York, Queens Plaza is very centrally located. For starters, the city's two major airports, JFK and La Guardia are both located in Queens. Queens Plaza is also the main meeting place for Queens subway connections, with six different subway lines converging at the station, and two additional lines within walking distance at Court Square. This makes it incredibly easy to get around LIC and NYC from the Queens Plaza neighborhood by train. Other options for getting around include riding the bus from one of the twelve lines running at Queens Plaza or catching one of New York’s famous yellow cabs. 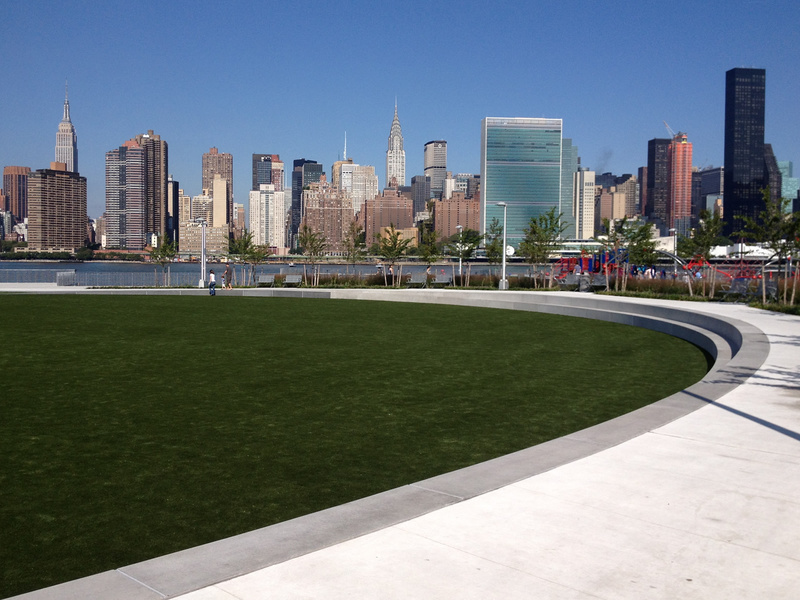 If you prefer aesthetic travel, Queens Plaza is also close to the East River Ferry Terminal in Hunter's Point South. From this terminal you can take a three minute ride to midtown Manhattan, or even go all way downtown, with stops in Brooklyn at the Brooklyn Bridge and Williamsburg. Either way, the ride is incredibly refreshing and punctuated exquisitely with spectacular views. More high-rise hotels and apartments are also springing up all over Queens Plaza, as are quality restaurants at affordable prices serving delicious meals. Businesses are flocking to the area in droves to occupy the new buildings rising from the ashes of industrialization. With no end to construction in sight, a new skyline appears to be emerging in Long Island City, stretching all the way from the Queens Plaza neighborhood in the north to the LIC Waterfront in the south, and including the classy Court Square area which is already home to One Court Square, the tallest building in New York outside of Manhattan. In the early part of his administration just over a decade ago, with the stroke of a rezoning pen, Mayor Bloomberg set in motion a chain of events that spurred the transformation of Long Island City and more specifically Queens Plaza, Court Square and the LIC Waterfront. The rezoning created a new government/business partnership, opening the doors of construction to developers who immediately began building and inviting new residents and businesses. Within a short space of time, Bloomberg’s strategy had reshaped the landscape of LIC making it fertile ground for businesses and new lifestyles. With tower after tower rising from the industrial soil, the Queens Plaza neighbourhood was given a new lease on life. Understandably, the Bloomberg administration did not receive unanimous applause for their gentrification efforts in LIC and around NYC, but by and large, the vast majority of New Yorkers and visitors have given the ongoing work in Queens Plaza a standing ovation, and some are even calling for an encore. As you take an even closer look at the Queens Plaza neighborhood and Long Island City as a whole, the ongoing transformation gets even more interesting. A new character is emerging from combining its historic industrial past with its newly acquired urban accentuations. At the Plaza itself where the subway runs cast iron tracks standing on giant stilts and criss-crossing each other above the ground, the QueensBoro Bridge with its overpowering design delivers an endless stream of vehicles to the Plaza, and an emerging skyline stands upright while surrounding an incredible mass of steel. The marriage of the old and the new is truly unique in this setting and is something unique to behold. As you venture beyond the Queens Plaza neighbourhood there are are many other attractions worthy of a visit. From the beautiful brownstones of 45th Avenue to the the art studios 5 Pointz, of the World’s Graffiti Mecca. From the home style meals of food vans catering to the workforce on Jackson Avenue to the exquisite cuisine of fine dinning restaurants on Vernon Boulevard. 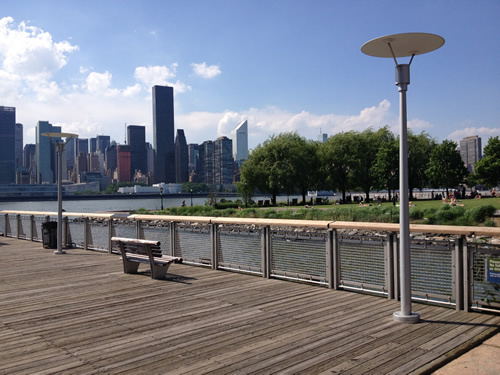 From Gantry Plaza State Park and Hunter Point South Park, the two beautiful waterfront parks with incredible views of the New York skyline, to the fast growing skyline within the corridors of LIC. Yes, Queens Plaza has arrived, and is not just taking its rightful place as a showcase community in Queens, but moreso as a destination in New York. 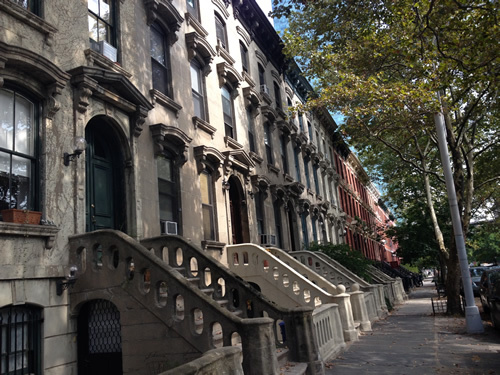 It is indeed a great time for residents, businesses and for visitors alike in one of the more fascinating New York neighborhoods.